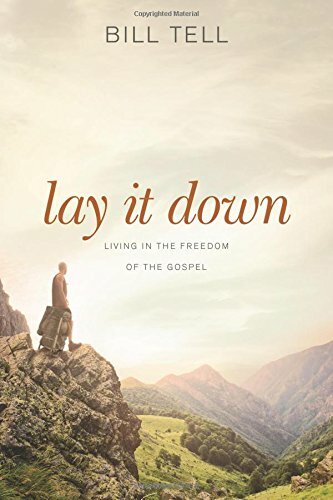 In this conversation Chuck Betters sits down with Bill Tell, author of Lay it Down, Living in the Freedom of the Gospel. Bill, former Vice President of the Navigators, experienced severe burnout and depression without warning. Bill discovered he could not “pull himself up by his own bootstraps”. Depression was like the hand of a giant pushing him deeper and deeper into darkness he could not fight on his own. Bill’s calling required him to interact with people but the dark cloud of depression created the need for him to close the door of his life in order to find the pathway of healing. Bill’s honest account of this lonely and dark time encourages each of us to review the grid through which we live life. He encourages us to experience the freedom of living in the Gospel rather than the unsatisfying prison of pursuing the praise of people. Bill and his college sweetheart, Sue, have been married for over forty-three years. Bill and Sue are not only partners in life but partners in ministry as Sue serves beside Bill in her role of discipling women of all ages through relationships and her blog, Echoes of Grace.